Please note that some images are not available for sale (you will find a respective remark in the description below them). If you can't find a photograph you're interested in on the website, do get in touch. 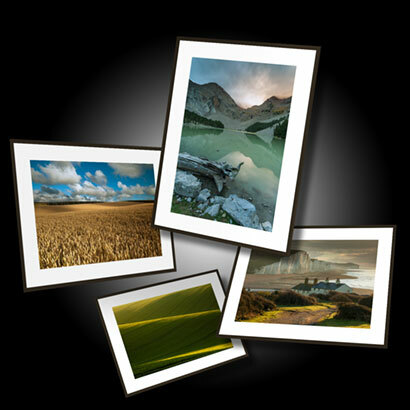 If you would like to order a print in a different size, on different material, framed, please contact us. Black & white versions available upon request. If would like to decorate an office or other indoor space with my landscape photography fine art prints, we can deliver a finished product (mounted and framed prints, according to your requirements and specifications). Sizes, materials, finish and prices to be agreed individually. In the UK: free for orders above £100, otherwise £5. Please allow up to 14 days for delivery. Local collection in Brighton possible (free of charge naturally), please get in touch for details. If you would like to get your order delivered to an address outside of the UK please contact us before placing the order. Use the the dropdown menu available under each image in the portfolio section to choose the required size and add it to the cart. When you are ready, go the the shopping cart to place your order and pay via Paypal. NOTE: if you don't have a Paypal account you can securely pay with your credit or debit card through Paypal.